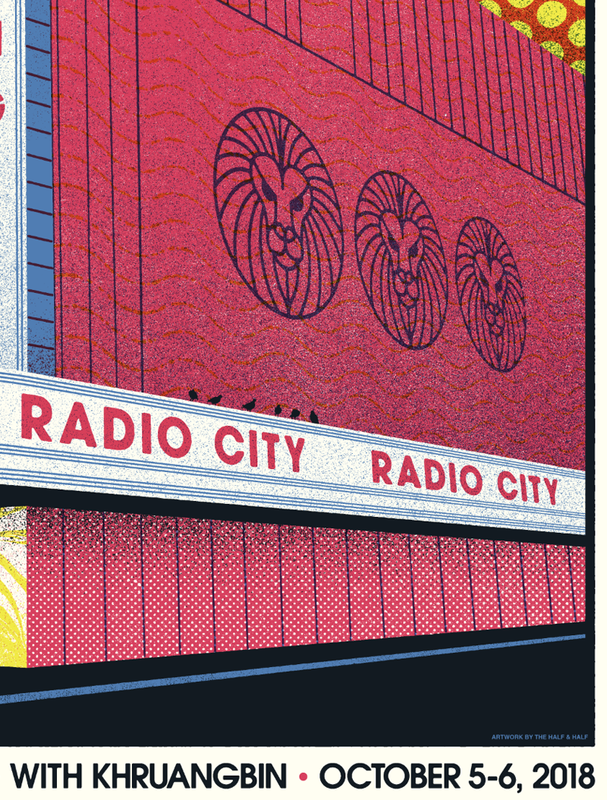 Here’s the final art for the NYC poster, set up as a 4 color print. I’m thinking some nice vibrant dense ink on this one will really make it stand out when its all printed up. 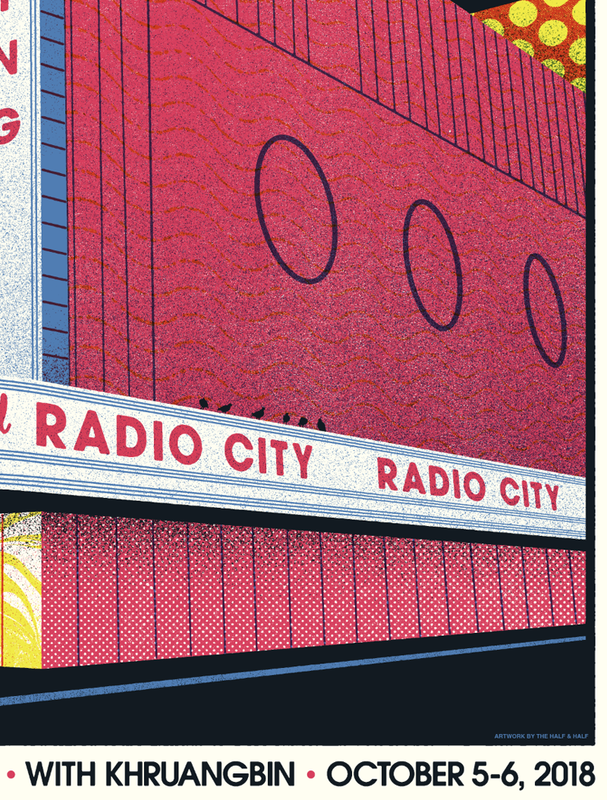 a simplified minimal graphic illustration of Radio City, we could work the silhouette in the facade. It could be cool for the different blocks of colors in the illustration to have a variety of textures, patterns, photos etc… The type and composition is inspired by this old program cover. A neon-inspired type treatment framed by a huge full moon over the manhattan skyline. 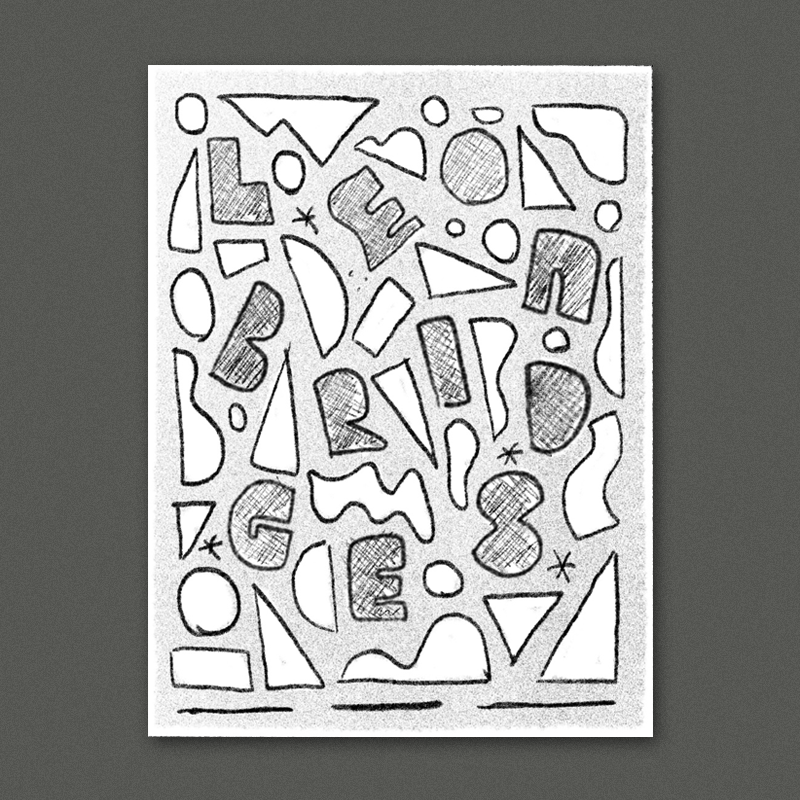 A classic blocked-out letterpress inspired composition combining a variety of type treatments and illustrations. Here are some other posters we’ve done in a similar style. 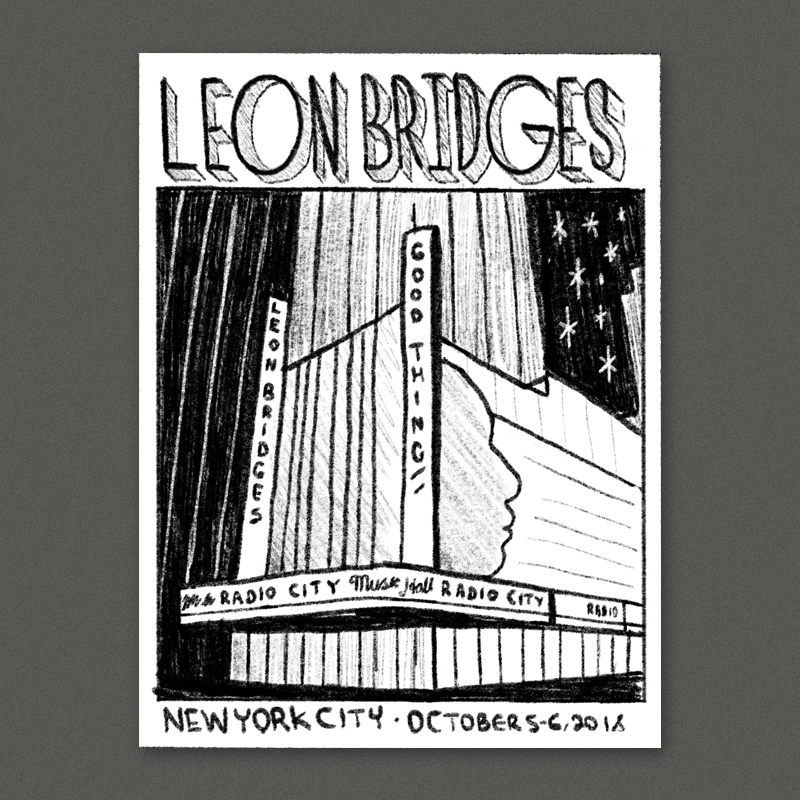 Here are a bunch of different rough ideas for the Washington, Boston, and NYC posters, none are location-specific so just let us know which ones y’all are feeling for each date. torn paper collage, each piece could be an image, texture, or pattern relaying the vibe of the music. For style reference see these other collage posters we’ve done. 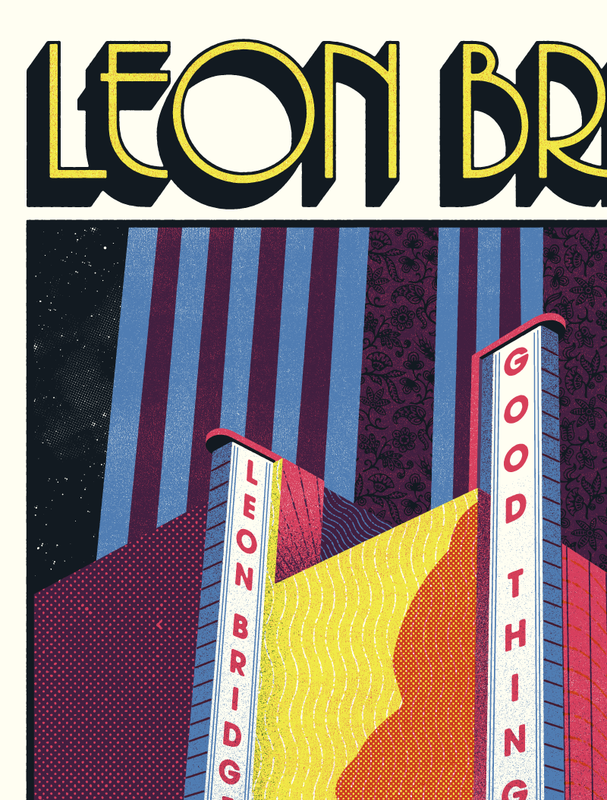 a funky vintage-inspired treatment - different abstract shapes all melting together with Leon’s name hidden in the mix. I think this could have a really cool milton glaser vibe when finished. 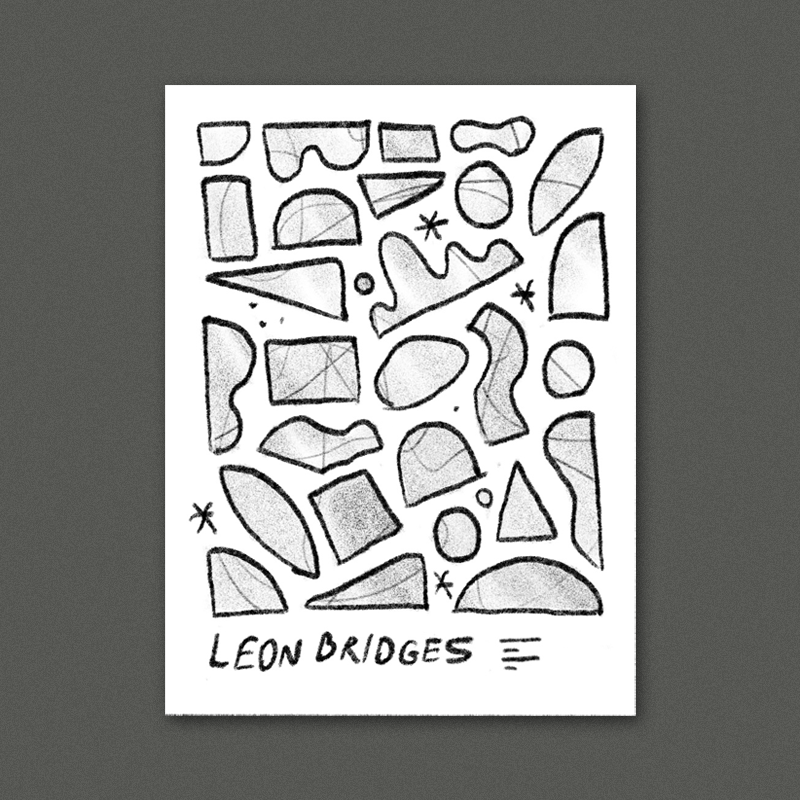 A loose abstract portrait of Leon with a guitar. This could be great with some bold contrasting colors and rough chunky lines and shapes. some chunky funky retro-style letters filled with an abstract geometric composition fill. Each section could be a different color making the letterforms a little more obscured and giving it a nice bold graphic punch. 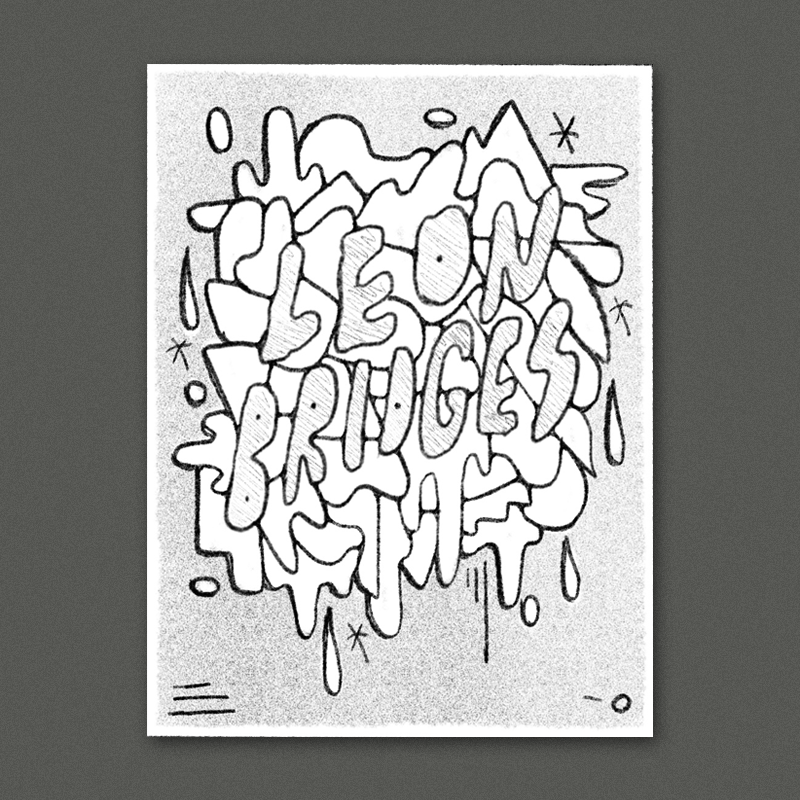 Another collage idea - this time with some of the different pieces spelling out LEON. leftover idea from the tour posters - layered torn paper inspired by outdoor poster walls.